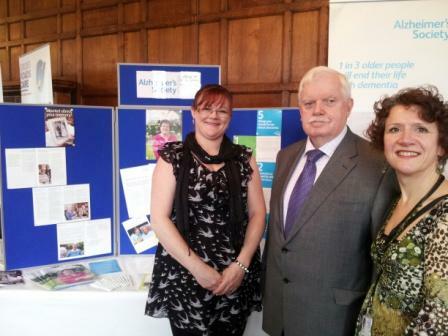 I was delighted to visit the Carers event at Charlton House on Friday. I never cease to be amazed at the number of organisations supporting the most vulnerable in Royal Greenwich. The wide range of services showcased their services to a large number of residents anxious to have support in these hard times. Council Officers were on hand to offer advise on benefits and Health providers were available to carry out Health checks. All in all a very worthwhile day. Many thanks also to all those that supported me during Movember! 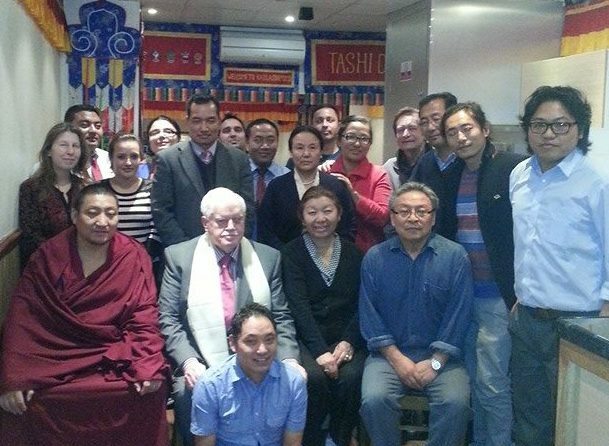 Delighted to have been invited to welcome the Tibetan MPs who were on a tour of Europe and were on the last leg of their tour by visiting the UK. They were meeting Members of Parliament and had a meeting with the Speaker John Bercow. The reception took place at The wonderful Tibetan Kailesh Restaurant in Woolwich New Road. Highly recommended. Worth noting the fact that the Greenwich Borough hosts over a hundred Tibetans and a large number of the Nepalese community. The places where people, live, work and play are on the front line of the enormous social, economic and demographic challenges that we all face. It is in the homes and neighbourhoods and on the high streets that the consequences of national problems are experienced in our everyday lives. The greater the challenges, it seems, the more inadequate the traditional institutions respond. Declining trust in our political system and increasing dissatisfaction with decisions made at a distance removed from those they affect are borne out in low election turnouts and of populist parties which offer up easy scapegoats or knee jerk reactions. The question is, how do we rise to the challenge. We could take the easy route in burying our heads in the sand or recognise that the time has come to change they way we govern. The debate about community engagement continues to exercise the minds of our residents. The appetite to be involved at all levels of activity is overwhelming. Everywhere I go there are exciting examples of people doing their bit in their localities. Only last week I addressed the Annual Meeting of Greenwich Mind. The Hall was packed. There are many other examples of voluntary activity. It is important that we find ways to nurture the interest people have in wanting to engage in the decision making process. Important strides in involving local people in decision making are taking place across the country. In Durham, for example, they have developed Area Action Partnerships involving five thousand residents. On our own doorstep, Lewisham Council have established Area Assemblies which involves thirteen thousand residents. Each Authority determines its own model and rightly so. The important point is that changes are taking place. Do you think we are doing enough to engage residents? Are there specific issues that you feel requires more resident engagement? Please let me know your views on these matters. The growth agenda is gathering momentum in Royal Greenwich. Wide ranging decisions taken by Cabinet this week aims to create avenues of opportunity across the Borough. Despite the actions of the Coalition Government to reduce the influence of local government through funding cuts, Greenwich Council has found creative ways to kick start the local economy. The Charlton Riverside Masterplan has entered an important phase in its development. The proposals for the Woolwich Town Centre will see the Leisure facilities moved to the Town Centre. 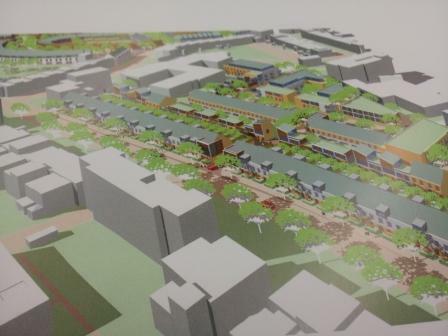 Eltham Town Centre will see a cinema being developed on the Poundland site. Greenwich Town Centre will have the Borough Halls developed as a significant Creative Hub. Local action for local people. The Council is delivering an exciting agenda in tough times. The consultation which took place last week under the banner of the Woolwich Ideas Exchange buzzed with ideas about the Town. Those ideas are worthy of serious consideration. Those debates will continue because the community rightly believes it should have a voice . Hopefully we will have a further debate in January to follow up on capturing new ideas. In the meantime I look forward to hearing from you on this blog. Worth a visit to Rushgrove House on Saturday and Sunday 23/24th of November for an art exhibition in this wonderful hidden treasure opposite RA Barracks next to Cambridge House. Knocking on doors over past months demonstrates the keen interest that people have in the areas they live in. Debating issues of the day at local and national level now takes place through social media. I have a huge contact from local residents through email and other social media sources. Empowering people to have their say has never been more important than it is today. People do care, they care about their community and care about one another. If we fail to address the energy and enthusiasm more and more people will be alienated from the political process. The Woolwich Ideas Exchange emerged from a conversation with someone who wanted to contribute to a discussion about where she lives, what influence she can have and how she could influence decisions. I suggested that, perhaps, people were not interested. She then produced a list of forty local people linked to her Facebook who were as keen as she was. The first discussion takes place next Thursday, this is the beginning of a journey together to make a difference. Hope to see you there. Clocks going back, winter approaches, energy bills out of control, NHS in crisis and once again elderly residents find themselves worrying about their future. I was very impressed with what I experienced during Silver Sunday recently where the number of organisations and volunteers that take it upon themselves to look out for their elderly neighbours was overwhelming. Speaking to a group of young people at the Link in Thamesmead convinced me that there is a sense of community developing that does exist and was particularly shining through on that occasion. Winter pressures places the public sector in a difficult position. Hospital Social Workers provides an excellent service in support older people getting back to their homes after a hospital spell. This year the pressure will be even greater as Government funding has gone to Acute Services while the Council budgets have been reduced. Clearly the greater need is in the community. Adopting increased levels of community support is needed more than ever. Older people remain at risk and will need increasing levels of support. I suspect our community spirit will shine through this year as it has done in the past. The Carers Centre, Age UK, local volunteers and others are playing an increasing role . Let’s make sure that during this winter period we can keep an eye on our elderly neighbours and help where we can. Sometimes, as I discovered recently, they are far too independent and not wishing to be any trouble. On the contrary, our support is what makes the Borough a very special one. While welcoming the Woolwich Estates development,there is a growing voice for the community to see improvement in the locality in which the development is taking place. Plans for improvements to the New Charlton Community Centre are at an early stage and residents are seeking funding to meet the demands being made and the likely increase in population in the coming years. Increasing numbers of children will see demands for new Primary Schools in the Woolwich area. Woolwich Riverside Councillors are committed to engaging with the community to develop proposals further in advance of the Planning Board decisions later in the year. Whispers from NHS London suggest further funding difficulties in the year ahead. The formula for determining funding has been previously based on deprivation. In future this would seem to switch to the funding formula being based on older people. Redistribution could mean neighbouring Boroughs getting increased funding while the growing needs of Greenwich residents will suffer. The NHS is certainly not safe in the hands of the present Government. Spent some time at the Abbey Wood Pharmacy in Eynsham Drive this week. Extended facilities makes it much easier for the most vulnerable to get a flu jab. There is no excuse to miss out. All the evidence suggests that getting the jab helps to protect people. Just had mine. I recently took the opportunity of browsing through the local Conservative party’s websites and blogs. It was an interesting exercise as it provided me with the opportunity to question what they were really about. They are all decent people but what do they stand for. Are they now simply a local party of protest, anxious to divorce themselves from their nasty Westminster colleagues or are they hoping that through their narrow lens they hope to be elected by a constant attack on the Council. From my standpoint this seems to be a very painful exercise. Most people believe, and rightly so, that the Council does a good job. Despite the decisions of their mates in Westminster to cut our budgets we continue to manage our finances well while protecting vulnerable people from the ravages of the onslaught on their wellbeing. I can understand that they want to put distance between themselves and their party nationally. Are they opposed to the bedroom tax, if not why not? Are they opposed to the investments the Council has made in growth and employment? Would they do things differently of would they simply, by instinct, make further cuts? From my own evidence on the doorstep with colleagues in recent weeks I believe they are heading for an almighty fall because, in reality, they support the national agenda of the Conservative Government but try to avoid saying so. Maybe I have got it wrong but look forward to receiving a response as to what they actually stand for. The best of public service shone through the Royal Borough where the generations came together to celebrate the importance of older people. As I wound my way across the Borough I was struck, not for the first time, by how the lives of people are improved by the help and support given by volunteers of all ages. Council staff, libraries, Woolwich Public Hall, Age UK in Sherard Road, Eltham and the Link at Thamesmead all came together to make the event a resounding success. The Woolwich Singers and the Greenwich Dance Agency were amazing. Getting around a number of centres, there was laughter and tears as people shared their life experiences, remembering the past while looking forward to the future. I was encouraged by a detailed conversation with members of the Thamesmead Youth Voice who were visiting a number of residential homes during the day. They committed themselves to spend more time supporting older people throughout the year. Silver Sunday is just one day in a year. Ending loneliness, giving a helping hand through the year will help us to build a greater community spirit in the Borough. As winter approaches we need to make sure that our elderly neighbours remain warm and safe. The demand for more social events will continue and we will look back and remember the contribution made by so many to bring a smile to those who participated in Silver Sunday.